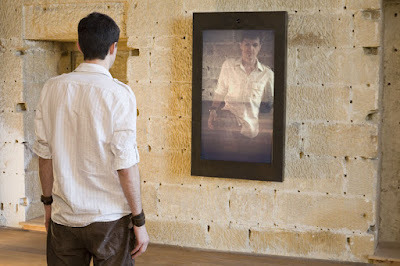 What appears to be a conventional looking glass is in fact a flat video display embedded with a hidden high-speed video camera and a massive terabyte hard drive, reports Pixelsumo. The camera enables the viewer to witness instant replay in slow motion while simultaneously viewing blurred real-time images. And if that’s not freaky enough, “Hereafter” periodically splices in previously recorded slo mo footage compiled over the course of the exhibition to create a ghostly “Where the hell did that chicken come from?” effect drawing on images photographed months earlier. In a few years, skim milk may come straight from the cow, it was reported this week. Skim milk is usually produced by taking all of the fat out of regular milk, but in 2001, researchers found a cow that skipped that step. While screening a herd of cows, they found one with a natural gene mutation that makes her produce lower-fat milk than a normal cow. Marge, as researchers later named her, makes milk that has 1 percent fat (as compared to 3.5 percent in whole milk) and is high in omega-3 fatty acids. And remarkably, Marge’s low-fat milk still has the same delicious taste as conventionally produced low-fat milk, according to the report in Chemistry & Industry magazine. The low saturated fat content of Marge’s milk also means that butter made from it is spreadable right out of the fridge, while most butter has to come to room temperature before it can be spread on toast. ViaLactia, the company that owns Marge, expects the first commercial herd of cows supplying natural low-fat milk and spreadable butter for the market by 2011. But because cows are normally selected for breeding because they give a high milk yield, this new selection criteria could mean the skim milk cows would produce less milk, said Ed Komorowski, technical director at Dairy UK and who is not affiliated with the research—so more cows could be needed to produce the same amount of milk. And “normal” cows wouldn’t disappear, he told LiveScience, as their milk would still be needed to make fattier products such as cream. 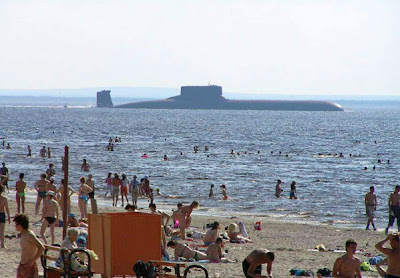 This is in Severodvinsk city, Russia. 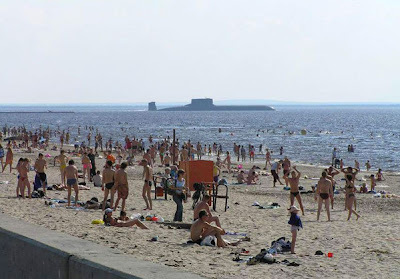 The beach is located near a marine base, so apparently this is not an unusual sight there. (10) These cheerful yellow and white harbingers of spring, aka daffodils and jonquils, are actually mildly toxic if the bulbs are eaten in large quantities (Narcissus pseudonarcissus is shown). Some people confuse them for onions. 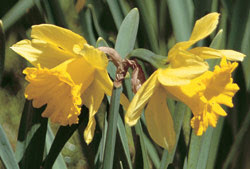 Daffodil bulb diners tend to experience nausea, vomiting, cramps and diarrhea. A doctor might recommend intravenous hydration and/or drugs to stave off nausea and vomiting if symptoms are severe or the patient is a child. 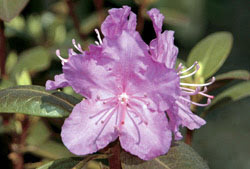 (9) Rhododendron Rhododendrons and azalea bushes (a variety of rhododendron), with their bell-shaped flowers, look great in the yard come springtime, but the leaves are toxic and so is honey made from the flower nectar. Eating either from these evergreen shrubs makes your mouth burn, and then you’ll probably experienced increased salivation, vomiting, diarrhea and a tingling sensation in the skin. Headaches, weak muscles and dim vision could follow. Your heart rate could slow down or beat strangely, and you might even drop into a coma and undergo fatal convulsions. Before that, doctors will try to replace your fluids and help you breath more easily and administer drugs to bring back your normal heart rhythm. (8) Ficus Also known as weeping fig, benjamin tree, or small-leaved rubber plants, all ficus have milky sap in their leaves and stems that is toxic. 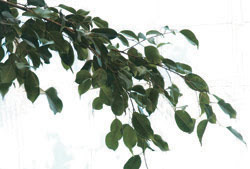 There are about 800 species of ficus trees, shrubs and vines (Ficus benjamina is shown), many of which are cultivated indoors in pots and tubs and outdoors in warm areas where some varieties can grow to up to 75 feet tall. The worst that will happen is your skin will itch and puff up and your doctor will give you something for the allergy or the inflammation. 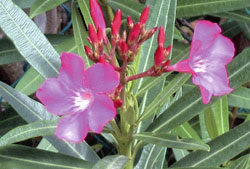 (7) Oleander Every bit of the oleander plant is toxic, unlike the case for other plants where just the flower or sap might be poisonous. Even accidental inhalation of the smoke from burning oleander is a problem. Other trouble comes from using the sticks for weenie or marshmallow roasts or drinking water in which the clusters of red, pink or white flowers have been placed. These evergreen shrubs (Nerium oleander is shown) are common as tub plants or in gardens in the Southwest and California, any locale that approaches the plant’s native Mediterranean climate. Typically the symptoms involve a change in heart rate, be it a slow down or palpitations or high potassium levels. A doctor might prescribe a drug to bring your heartbeat back under control and try to induce vomiting with ipecac, pump your stomach or absorb the toxin with ingested charcoal. (6) Chrysanthemum Also known as mums, orange and yellow varieties of these showy flowers often turn up in foil-wrapped pots on people’s front steps around Halloween and Thanksgiving. 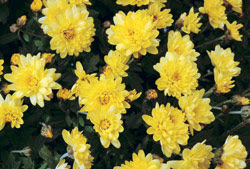 There are 100 to 200 species of Chrysanthemums, and they generally grow low to the ground, but can turn into shrubs. Gardeners plant mums to keep rabbits away. Guess what? The flower heads are somewhat toxic to humans too. But not terribly. Touching them can make you itch and puff up a bit, but probably the doctor will just give you something for the inflammation and allergic reaction. 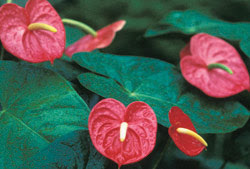 (5) Anthurium The leaves and stems of these bizarre-looking plants, with dark green, heart-shaped leathery leaves and a scarlet, white or green spike surrounded by a red, pink or white “spathe,” are toxic. Also known as flamingo flowers or pigtail plants, eating tropical Anthuriums could give you a painful burning sensation in the mouth that then swells and blisters. Your voice might also become hoarse and strained and you might have difficulty swallowing. Most of this will fade with time, but cool liquids, pain pills and gluey herbs and foods like licorice or flaxseeds may bring relief. 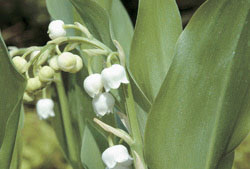 (4) Lilly-of-the-Valley These darling droopers, also known as mayflowers, are entirely poisonous, from the tips of their tiny bell-shaped white flowers that coyly fall off like parted hair to the very water in which they might be placed. A little bit of Lily-of-the-valley (Convallaria majalis) probably won’t hurt much, but if you eat a lot, you’ll probably experience nausea, vomiting, pain in the mouth, abdominal pain, diarrhea and cramps. Your heart rate might also become slow or irregular. A doctor might decide to clean out your stomach by pumping it or feeding you absorbing charcoal, and might give you drugs to bring your heart rate back to normal. 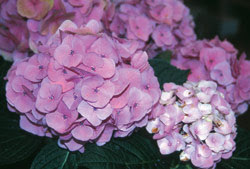 (3) Hydrangea These poofy-flowered bushes (Hydrangea macrophylla) are popular yard ornaments that can grow up to 15 feet tall with rose, deep blue or greenish-white flowers that grow in huge clusters and look as edible as cotton candy or a big bun to an imaginative mind. But those blooms will give you a belly ache that sets in sometimes hours after eaten. 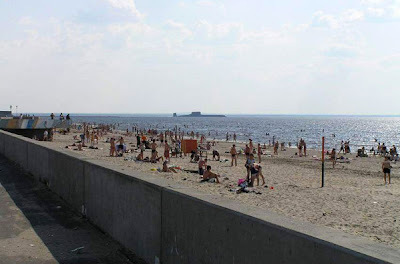 Typically, patients also experience itchy skin, vomiting, weakness and sweating. Some reports indicate that patients can even experience coma, convulsions and a breakdown in the body’s blood circulation. Luckily, there is an antidote for hydrangea poisoning, and doctors might also give you drugs to address to ease your symptoms. 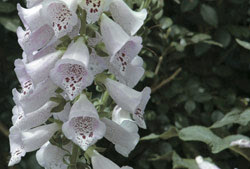 (2) Foxglove Foxglove is a magical looking plant that grows to 3 feet tall with drooping purple, pink or white flowers, sometimes dotted inside, along a central stalk. Its Latin name is Digitalis purpurea, which might sound familiar; leaves from the plant are a commercial source of the heart drug digitalis. If you eat any part of these plants in the wild, you too will likely have heart problems after a spell of nausea, vomiting, cramps, diarrhea and pain in the mouth. A doctor might administer charcoal to absorb the toxin or pump your stomach, and might also administer drugs to bring your heart rate back to normal. Other names for this plant include fairy bells, rabbit flower, throatwort and witches’ thimbles. 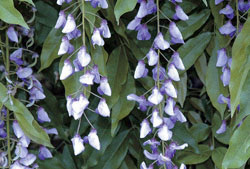 (1) Wisteria Wisterias form romantic cascades of sweetpea-like flowers that fall in lush blue, pink or white masses from woody vines that grow mainly in the South and Southwest. The entire plant, also known as a kidney bean tree, is toxic, though some say the flowers are not. Better safe than sorry, because most reports are that eating this plant will cause nausea, vomiting, cramps and diarrhea that could require treatments such as intravenous hydration and anti-nausea pills. CHARLESTON, W.Va. (AP) — Proof that a 12-foot creature with fiery red eyes spooked Braxton County schoolchildren in 1952. Proof that aliens crashed a spaceship near Roswell, N.M., in 1947. 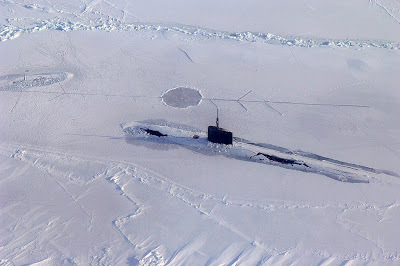 Proof that the U.S. military engaged alien spaceships in battle over the Atlantic Ocean more than 50 years ago. The UFO conference coincides with the 60th anniversary of an unexplained sighting of a crashed aircraft in New Mexico that is still a source of controversy and speculation of a government coverup. It’s also the 55th anniversary of sightings of a noxious-odor-emitting monster in Flatwoods in Braxton County. Freddie May, one of the boys who saw the monster after a fireball fell from the sky in September 1952, is scheduled to attend. He will refute those who dismiss the monster as a hoax and others who say it was a gaseous ball that formed during a meteor shower. Also on the lineup is author-illustrator Frank Feschino, who penned “The Braxton County Monster: The Cover-Up of The Flatwoods Monster.” His follow-up book, “Shoot Them Down,” details aerial combat he says was waged in 1952 between U.S. aircraft and alien ships over the ocean. Feschino spent 14 years researching the sighting and plans to present a 53-minute documentary on his findings at the conference. Staton Friedman, a former nuclear physicist who helped investigate the Roswell crash and has published more than 70 papers on UFOs, is also scheduled to attend.